KUALA LUMPUR: A small group of taxi drivers, who staged a walkout midway during a dialogue with Tun Dr Mahathir Mohamad, have been taken to task for disrespecting the country’s prime minister. Youth and Sports Minister, Syed Saddiq Abdul Rahman, did not minced his words when he described the action of the unhappy lot as blatantly rude and that they were not mindful of their manners. In his official Instagram account @syedsaddiq, the Parti Pribumi Bersatu Malaysia (PPBM) Youth chief also posted words of encouragement and support for the Langkawi Member of Parliament to disregard the folly of the group of rude taxi drivers. “To the taxi drivers, who acted rudely during the dialogue session, where are your manners? “Ayahanda (leader) @chedetofficial (Dr Mahathir), Don’t be sad and please don’t give up on us. “It is impossible for us to please every people. As long as we have good intention, God willing, we will succeed together,” Syed Saddiq said on his Instagram account. 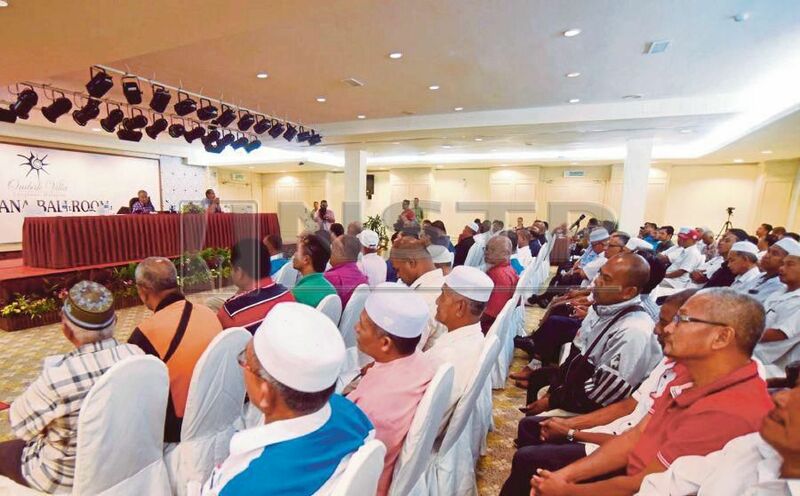 During the dialogue in Langkawi this morning, the group of 10 taxi drivers staged the walkout after they were unhappy with Dr Mahathir’s explanation on e-hailing service. The same group had also uttered harsh words and made noise before staging their walkout while the prime minister was giving an explanation on the issue of e-hailing. Dr Mahathir was clearly upset with the rude behaviour of the disgruntled group when he said that he was prepared to resign as the prime minister. “If you don't want me to be Prime Minister, today I resign. Not a problem for me,” said Dr Mahathir.